Most of us are well aware that science has, for several decades, involved itself with the nutritional value of what we eat, so many people will be surprised to learn that only recently has the actual process of digesting food been under investigation. Even more surprising is the finding that only in the last decade has science started to investigate and evidence the effects of what happens to the human body and brain when our digestive system goes wrong. The term dysbiosis simply means ‘to shift from a healthy state’ or from eubiosis. In respect of the human body, ‘gut’ or ‘intestinal’ dysbiosis refers to an imbalance of the normal bacterial ecology in our digestive system which, in an ideal world, work in harmony or symbiosis, to degrade the food we eat. The bacterial ecology inside our body is not in fact limited to bacteria. The community to which we are host, comprises bacteria, protozoa, archaea, fungi and algae. Together these members of the intestinal community are usually referred to as the microflora or microbiota. Despite the common negative attitude toward bacteria, in reality the majority of these microflora are performing beneficial and essential activities which keep our bodies in optimum health. In the human gastrointestinal tract (GI) or gut, food is degraded into its component parts enabling the extraction of nutrients and vitamins enabling them to be absorbed through the gut wall. The degradation of food is done by a mix of acids, alkali, enzymes and, of course, our microflora. Under normal, healthy circumstances out of the 100 trillion microflora which inhabit our digestive system, only a small number are pathogenic or ‘bad’. These are usually vastly outnumbered and overwhelmed by the good microflora and so do not negatively affect our health. Yet when the numbers of good microflora diminish, the pathogenic variety can gain a foothold and cause an overgrowth of bacterial pathogens which are potentially damaging. In this situation a state of gut dysbiosis has been reached and the clinical implications for patients can be broad and far-reaching. The term dysbiosis is actually not new and was mentioned as early as 1890 by Dr E.E. Furney in his book, Culture: A Modern Method (St Louis, MO: Nixon Jones Printing Co). Then, in 1907 the theory of gut dysbiosis was expanded upon further when Russian scientist Ilie (Elie) Metchnikoff discovered Lactobacillus bulgaricus – the first identified ‘good’ bacteria. Metchnikoff noted that many Bulgarian peasants maintained optimum levels of health and even apparently lived longer despite their hard and deprived lifestyle. His investigations subsequently led him to attribute their good health and longevity to the consumption of a fermented milk drink in which he found a bacteria – Lactobacillus bulgaricus. The era of probiotics was born and, thanks to Metchnikoff, would be forever entwined with the phrase gut dysbiosis, which, even then, was suggested to cause illnesses ranging from diarrhea to schizophrenia. At the time the main issues of the day revolved around intestinal permeability and a condition called ‘autointoxication’ which was an all-encompassing term for many of the symptoms and conditions thought to be caused by gut dysbiosis. Conditions which were remarkable in their resemblance to many of those abounding today. Metchnikoff’s findings and the improvements for patients ensured that for the next 20 years fermented milk drinks achieved an amazing amount of popularity both with the general public and clinicians. Such was their popularity that in the 1920s, after the discovery of another ‘good’ bacteria, Lactobacillus acidophilus they were even endorsed by the AMAC (American Medical Association Council). Unfortunately in the 1930s some prominent physicians declared the benefits of fermented milk to be ‘quackery’ and subsequently they fell out of favor. In the West throughout the remainder of the 20th century and right up until the early 21st century, dysbiosis together with probiotics would be ridiculed by the medical profession. This attitude can seen to be reflected right up until 2002 when research undertaken back in the 1930s correlating inflammatory skin conditions and emotional disorders with intestinal permeability was described by dermatologists as deserving of being ‘swept into the dustbin of history’ (1). Happily in the last decade scientists and clinicians have been taking a much more enlightened view of gut dysbiosis and now it is being attributed as an underlying cause of many illnesses for which, previously, modern medicine, could offer patients few solutions. 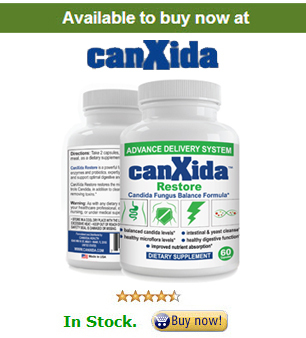 Click here to order on of the best supplements for treating gut dysbiosis. Click here to learn what is it, history and what you need to know. Click here to learn what are the leading causes of gut dysbiosis. Click here to learn to find out if you are suffering from gut dysbiosis or not. Complete list of signs and symptoms. Click here to learn more about guy dysbiosis testing and diagnosing. Click here to learn how to treat gut dysbiosis once and for all. Click here to read the best diet to follow if you have gut dysbiosis. What can happen if I leave gut dysbiosis untreated? Click here to learn what can happen if you do not treat your gut dysbiosis. Click here to read some of the most frequently asked questions about gut dysbiosis.